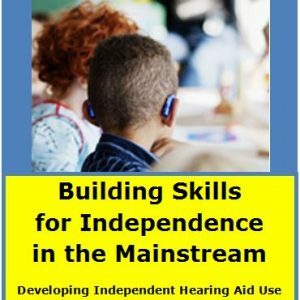 Preparing individuals who are deaf or hard of hearing to be effective self-advocates should never be thought of as unnecessary or inconsequential – it is an essential part of their free and appropriate education. The C.O.A.C.H. 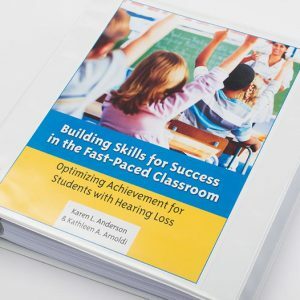 instructional model presented in Self-Advocacy & Transition Skills for Secondary Students who are Deaf or Hard of Hearing provides the structure, method and knowledge-base needed to really REACH our secondary students and effectively improve these skills that are critical for lifelong success.It imbues the individual with the practice needed to gain self-confidence in advocating as they learn problem-solving skill that spill over well beyond the self-advocacy arena. 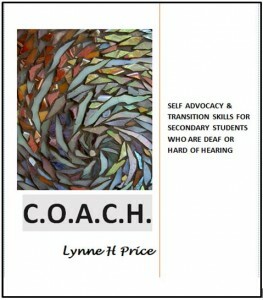 Lynne Price has created an easy-to-follow guide that can be implemented quickly with the support of the C.O.A.C.H. structure of specific skills. The examples provided will help teachers and secondary students alike to understand the importance of being able to effectively implement these skills. I believe that many teachers of the deaf and hard of hearing who serve secondary students will soon come to rely upon C.O.A.C.H. as they support the success of these young adults. C.O.A.C.H. is a ‘How to’ and “What to do” book for the development of skills for secondary students. The program uses a problem solving model of C.O.A.C.H. – Concern- Observe- Access- Collaborate- make it Happen to address access and communication needs. 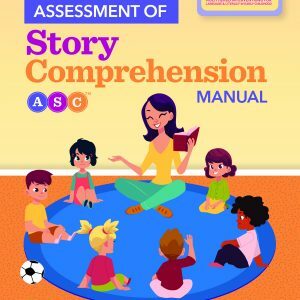 The book includes: rationale for the instruction model, step by step directions, goals and activities, assessments, and reproducible worksheets. Each section addresses specific aspects of advocacy and develops underlying skills to support application. Learn how to guide your students to handle their use specific situations and to develop skills they will use for a life time. For those of you who liked Steps to Success, this book is an expansion of the instructional model and a more in-depth look at serving secondary students.